Have you booked a vacation to the Caribbean Sea? Are you wondering what the difference between snorkeling and scuba diving is and what do you need to practice one or the other? Do you know this is the ocean adventure opportunity of a lifetime but you are not sure which the best option for you is? Stop looking up information. You are already in the correct place. We have made an overview of the basic features of both these water sports in this article. So, you will know the difference between snorkeling and scuba diving in order to take advantage of the most suitable option for you to explore unique Caribbean Coral reefs. Although both disciplines have recreational purposes and the goal is to observe the natural wonders of the sea, the biggest difference between snorkeling and scuba diving is their exploration potential. A snorkeler can enjoy the fish, marine life and many colorful reefs submerging in shallow waters to take a closer look holding a breath or simply from floating at the surface looking down, while breathing through the snorkel. Meanwhile, a scuba diver easily goes much deeper and stays down there much longer. In addition to the kaleidoscope of colorful corals, fish, sea turtles, rays, moray eels, etc. available to the snorkeler, the diver will also discover deeper reefs, shipwrecks, caverns, and walls which cannot be explored in any other way. Frequently, it is possible for snorkelers and scuba divers to book a trip for both together, so every family member or friend can do their own preferred thing, yet be on the same boat. 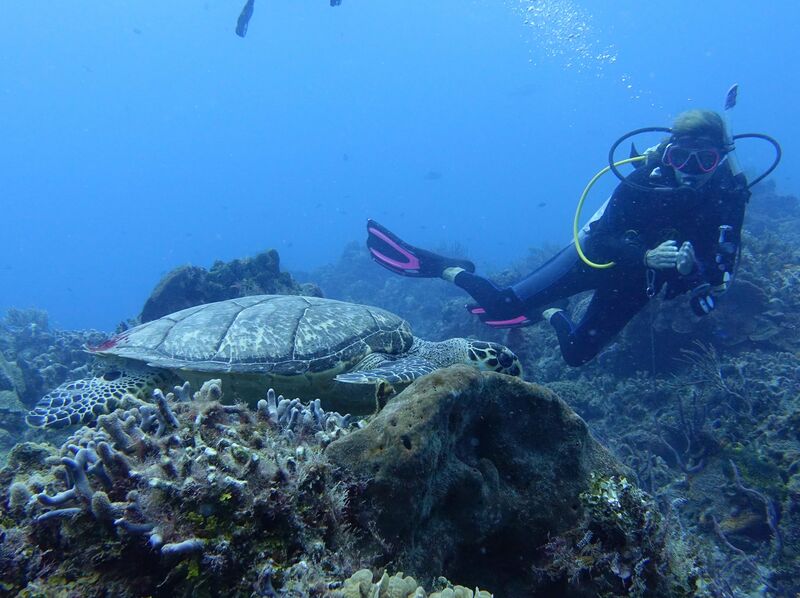 The snorkelers can see the shallower parts of the reef, and see beautiful creatures as turtles ascend towards them for warmer water temperatures and a fresh lungful before dipping back under the waves again. Meanwhile, scuba divers will be down there very busy as well, diving the deeper wall side of the same reef. Naturally, there are significant differences between snorkeling and scuba diving at the training level. Whereas, the main ability snorkeling requires is swimming, breathing and having fun, scuba diving requires more extensive training. 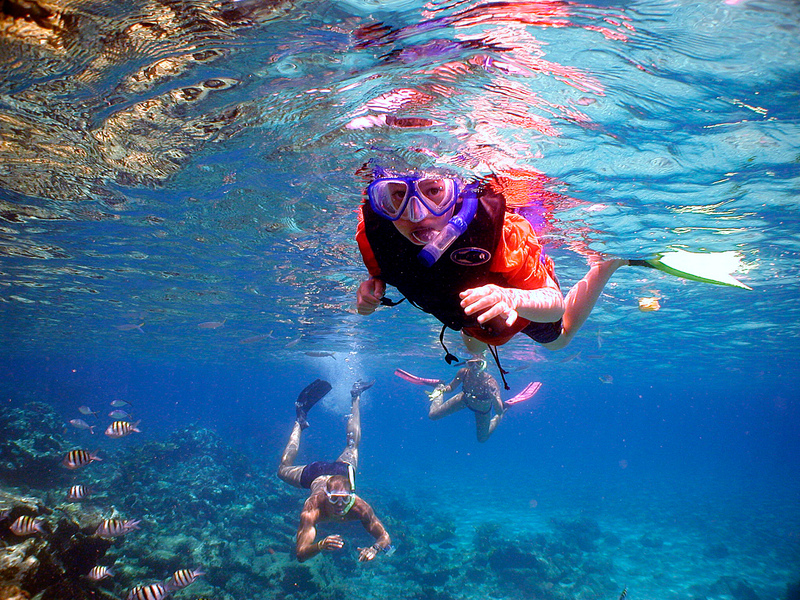 Someone who has never snorkeled before can be in the water within minutes, once he or she has a good grasp of how to use the mask and snorkel, and swim with fins. In fact it can be practiced by anyone of any age and so is very popular and extremely enjoyable. But even the more advanced swimmers can only stay under the water for the time they can hold their breath. This is not a problem for scuba divers who can stay under water much longer. In counterpart, they have to learn how to use the breathing equipment, safety procedures and buoyancy techniques. In Dressel Divers’ scuba diving centers, you can learn these important skills in little time. 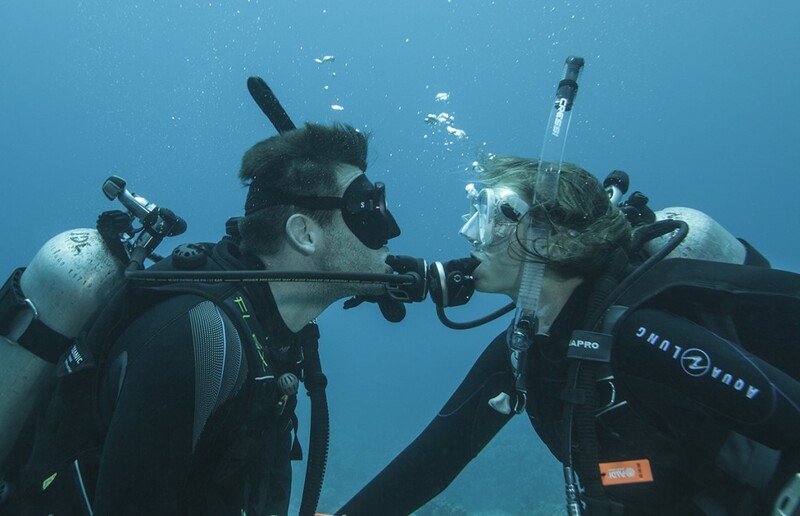 We offer a wide range of PADI courses leading to all kind of scuba diver levels, from the beginner to the professional and passing by the advanced courses. 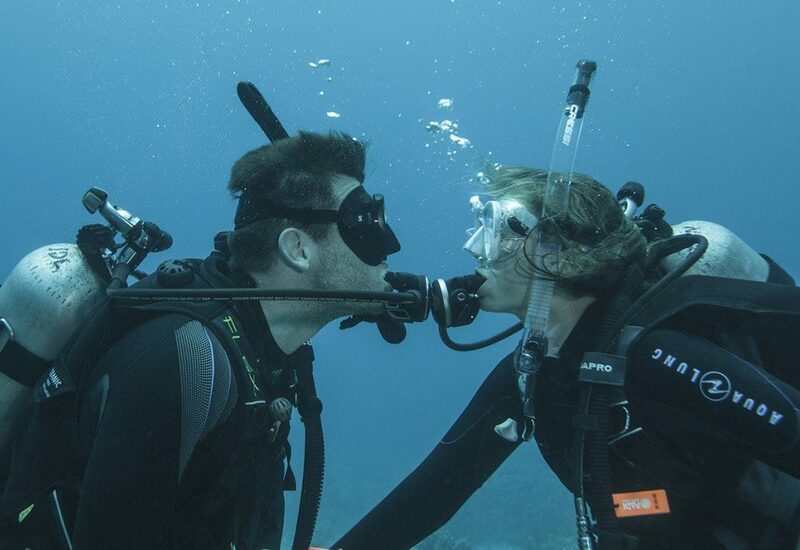 If it is your first time scuba diving, take advantage of this opportunity. 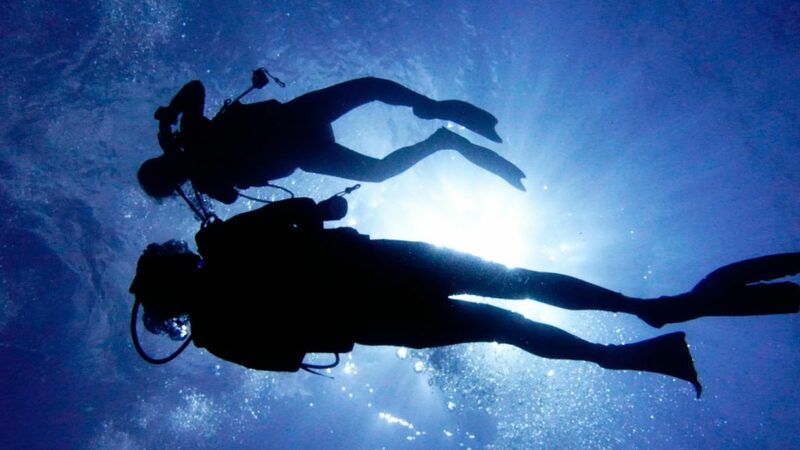 You can learn the basic principles in a few hours in the morning and start scuba diving in the sea the very same afternoon. Both require a snorkel and diving mask. To complete the kit a pair of fins, which allow marine sport lover to use their leg muscles to move effortlessly through the water. In addition, some snorkelers also complete their gear with a wetsuit to keep the body temperature regulated same as scuba divers do. It is also recommended to use a snorkel vest, which can provide buoyancy at the surface, and be deflated to descend. However, the main difference between snorkeling and scuba diving gear is that the latter requires important additional equipment. The pressurized air cylinder logically is the main piece of a scuba diving gear, moreover we have to add a regulator, air gauge and weight belt. Neither can we forget, the buoyancy control device and depth gauge or dive computer. Either way, whether you are a snorkeler or scuba diver you will be able to rent your gear with Dressel Divers and travel light. Finally, booking the best snorkeling or diving excursion is the only other important ingredient missing. 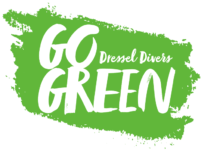 With over twenty years of experience in water sports, Dressel Divers offers top notch snorkeling and scuba diving trips full of fun and adventure. All of our Caribbean scuba diving and snorkeling centers organize tours to sites renowned for their exceptional natural marine beauty and pristine waters. Now you now know the difference between snorkeling and scuba diving. What do you prefer? Drop us a line!